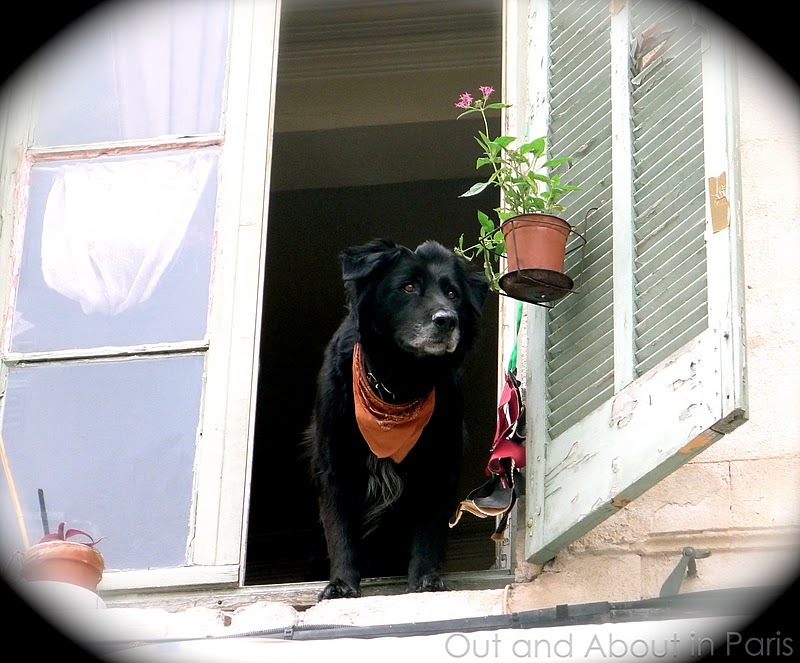 Sunday's pictures: Dogs just want to have fun - looking out at the world in Nîmes and in Paris. With my red kerchief, I'm all dressed up to go out and play! 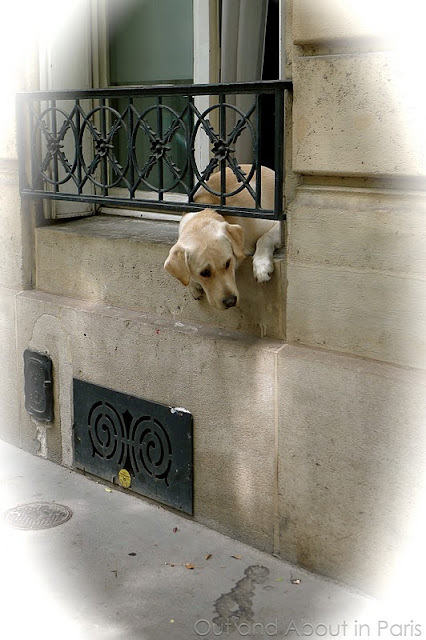 Whether they're on the second floor of an apartment building in Nîmes or on the ground floor of one in Paris, these dogs are sure that the outside world is much more fascinating than the one inside. so much work too, but so cute. 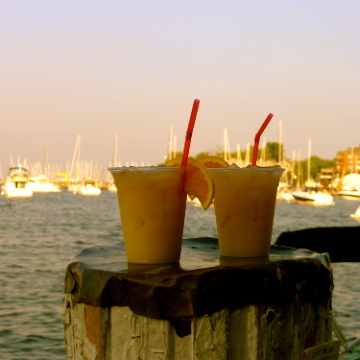 I had a dog in NYC, man, three walks a day and working full time--no easy chore. Fortunately I could take Benoit (yes, French name for my Brittany, of course) to work with me. We loved going to Central Park. Now that I know that you like dogs, I'll keep an eye out for some more photo opportunities. Since we didn't want to schlep a dog around the world with us, we've never had a Benoit. While we're always happy to care for our friends' dogs when they're on vacation, we're equally as happy to give them back when they return home. I have to admit that I'm more of a cat person because they're more independent. What is the saying, Dogs have masters, Cats have servants. As I used to say about the weather before moving to Chicago, or rather, in response to the weather in Chicago, "If I can survive walking my dog across Park Avenue in NYC on a wet January night, I can survive anything Chicago throws at me." That was the coldest exercise ever, but Benoit was always happy to do it. So off we trotted.